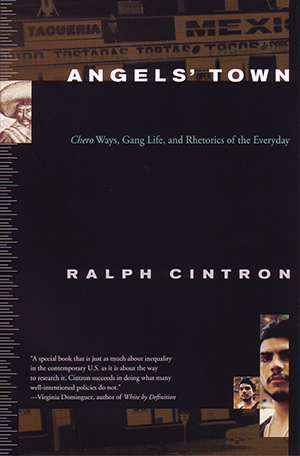 As issues of power and social order loom large in Angelstown, Ralph Cintron shows how eruptions on the margins of the community are emblematic of a deeper disorder. In their language and images, the members of a Latino community in a midsized American city create self-respect under conditions of disrepect. Cintron’s innovative ethnography offers a beautiful portrait of a struggling Mexican-American community and shows how people (including ethnographers) make sense of their lives through cultural forms.